Two years ago during a brief research visit to Manchester, England, I was introduced to a litany for Epiphany that tugged at the strings of my heart & mind. It was shared by Dr. Peter Rae of Nazarene Theological College at the morning chapel. I am going to share the litany with you, but I also wanted to share some thoughts from Dr. Rae that morning that have come to mind on the occasions when the word “epiphany” has made its way into conversations and reading materials I’ve come across in the time since that morning. Of course, this day (January 6) is the Day of Epiphany. For the Churches in the western tradition (Roman Catholic and Protestant), Epiphany is the celebration in which we recall the visit of the Magi (or wise men) to the child Jesus. 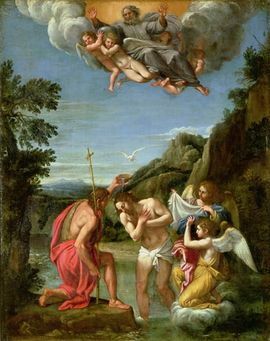 For most Christians in the eastern tradition, however, Epiphany is associated with the revelation of Jesus as the Son of God at his baptism by John in the Jordan River, which will draw the attention of many next Sunday in the first Sunday after Epiphany. And it was this account that Dr. Rae focused upon in his thoughts at chapel that morning. All the ends of the earth have seen the salvation of our God, Alleluia! Shout to the Lord, all the earth, Alleluia! The grace of God be with us all. where the Word of life is not yet received. that your salvation may be known through all the earth. extend your church to every place. Make it a place of welcome for people of every race and tongue. and further peace and freedom for all. strengthen the tempted and raise the fallen. Watch over the lonely and those in danger. and sustain the faith of the persecuted. The grace of God be with us all. Amen.